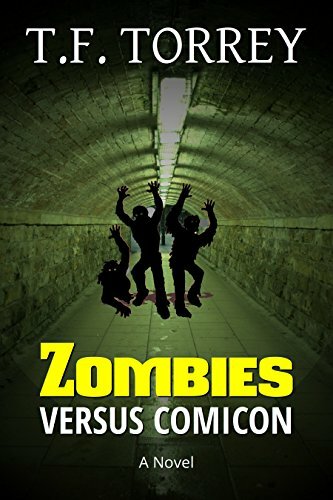 After two years of languishing in the back of my notes and twelve days of long hours and intense effort, my new novel is here: Zombies Versus Comicon. If you’ve ever wondered what it would be like to be trapped in an underground level of the Convention Center, after hours, unable to communicate with the outside world and hunted by a horde of brain-hungry zombies, this book will answer that question for you. It’s brand new, 53,000 words, and a lot of fun. You should get it at Amazon right now.